Lesson #4 – Secure All Firearms! The video below was recorded from Trooper Seiple’s patrol car video system. It provides an excellent view of how the investigation exploded from a minor traffic violation to a deadly force encounter. In addition, this video was critical in the successful prosecution of the suspect, as the defense attempted to use a “scared, self-defense” claim to counter the officers’ testimony. Whether you like it or not, agree or disagree, society today is addicted to video. In-car cameras, and body cameras can be the life-line to save officers accused of excessive force or improper actions (as they have done numerous times). We highly recommend you take steps to record your interactions with citizens, even if your department does not provide the equipment. Here are some sunglass options that are affordable. In November, 2017 Pennsylvania State Police (PSP) Trooper Seiple stopped a speeding motorist on Pennsylvania Route 33, a 4-lane divided highway. During the initial investigation Trooper Seiple contacted the driver, obtained his license, and completed a citation for excessive speed. This interaction seems to have been brief, and apparently the Trooper did not observe any signs of impairment at that time. After issuing the citation Trooper Seiple informed the driver he was free to leave. As Trooper Seiple was preparing to pull back into traffic, the driver motioned for him to make contact again. This time when Trooper Seiple contacted the driver he began to observe indications the driver was impaired. Observing these signs Trooper Seiple called for a backing officer and Corporal Kelly of the PSP arrived to assist. During the following investigation into the suspect’s impairment the Troopers observed enough signs to place the driver under arrest for operating a vehicle in an intoxicated/impaired condition. This is where everything began to fall apart. BlueSheepdog and many law enforcement trainers have highlighted the rise in danger once the decision to make an arrest and place handcuffs on a suspect is made. Troopers rarely deploy in 2-officer cars. Ensure back-up is present and ready for arrests (picture PSP). Immediately upon Trooper Seiple placing his hands onto the suspect he encounters resistance. Though the Trooper is initially able to get the suspect’s hands behind his back, the suspect quickly twists his body and is able to partially free himself and turn towards the Troopers. Corporal Kelly comes over to assist, but the suspect is able to break free and the Troopers are never able to even get one side of the handcuffs on the suspect. 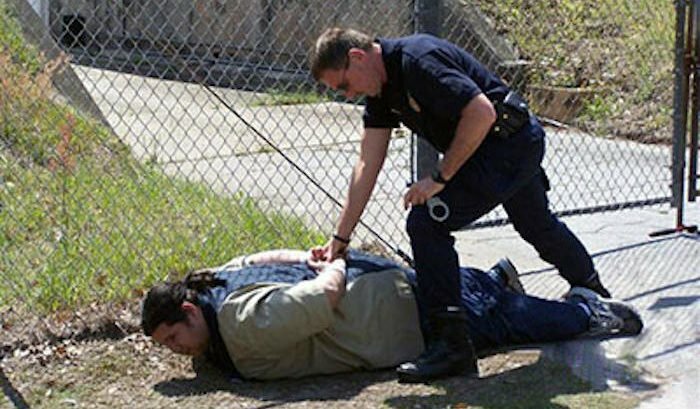 The concept of contact and cover is crucial in the success of law enforcement actions, particularly during arrests. Typically this means one officer contacts and interacts with the suspect, while the cover officer only looks out for the safety of the contact officer. However, with only one suspect it likely would have been advantageous for Corporal Kelly to assist Trooper Seiple during the initial handcuffing attempts of the driver. If both Troopers had a grip on the suspect initially, it is possible the suspect would not have been able to break free. As Corporal Kelly continues to struggle to maintain a grasp of the driver, Trooper Seiple withdraws his Taser. While Corporal Kelly is struggling to maintain control of the suspect, the suspect has grabbed the Corporal’s holstered sidearm (0:25). When Corporal Kelly loses his footing and falls, Trooper Seiple deploys the Taser and successfully engages the driver with the electronic control device (ECD). However, the driver is not immediately incapacitated, and actually lunges at Trooper Seiple. This action causes Trooper Seiple to fall backwards in a precarious position. 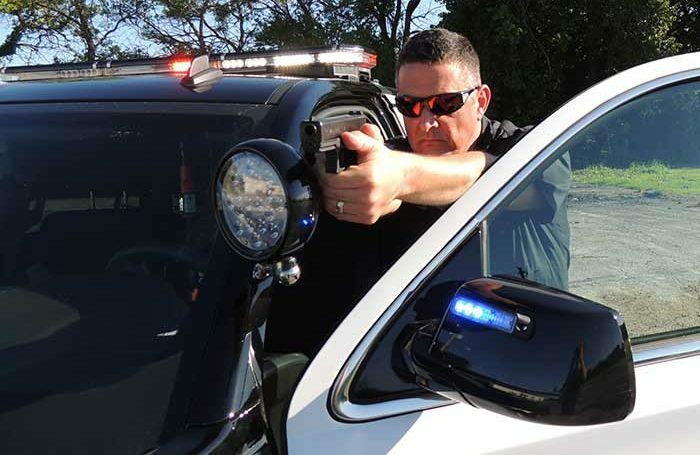 The introduction and proliferation of the Taser and similar ECD’s has dramatically improved law enforcement’s ability to counter resistive suspects with less-lethal means. However, there are a lot of factors to a successful Taser deployment. Did both prongs hit and stick? Are the prongs properly separated to create a wide enough circuit to lock up the suspect? Does the suspect’s clothing deter proper deployment effect? Is the Taser battery at acceptable levels? The Taser is a great tool, but like all tools it cannot be relied upon to be 100% effective. A short time later the driver appears to be locked up by the Taser deployment. It is unclear if this is solely from Trooper Seiple’s Taser or if Corporal Kelly’s Taser is in concert, as Corporal Kelly has regained his feet and has his Taser in hand. It appears Trooper Seiple’s Taser was only partially effective, and then Corporal Kelly deployed his Taser completing the circuit. Either way, the suspect locks up and drops into the outside lane of the highway. As the driver screams in pain, and Corporal Kelly instructs Trooper Seiple to “keep the Taser on,” Corporal Kelly drags the suspect out of the lane of traffic. Even though the driver resisted arrest, the officers are legally obligated to provide aid and safety to the suspect to the best of their ability. This would include not deploying the Taser if the suspect is on an elevated platform, or flammable substances are present. Here the Troopers did an excellent job of realizing the suspect was in danger from moving traffic, and quickly dragged him back to the highway shoulder. Corporal Kelly was absolutely correct to instruct Trooper Seiple to “keep the Taser on.” Once deployed the Taser should be kept on until the suspect surrenders resistive behavior, or has been secured in handcuffs. Now the situation goes from bad to worse. During the struggle Corporal Kelly’s back-up firearm has come out of his pocket and is lying on the ground near the suspect. Trooper Seiple quickly realizes this, retrieves the firearm, and disables the firearm by unloading and separating the magazine from the handgun. However, to do this he cannot engage the suspect for handcuffing, and Corporal Kelly is required to continue Taser application for control. A holster attached to body armor is a better option for a back-up pistol than pocket carry. Officers should secure all firearms in an appropriate holster. Unfortunately, many State Troopers carry a back-up firearm in their back pants pocket. Though this makes for a fast draw in a pinch, it also provides the danger of the firearm becoming dislodged during a ground fight and dangerously coming into play. 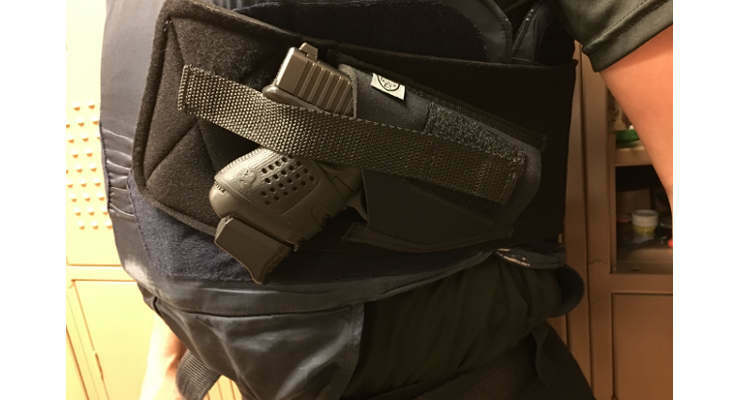 BlueSheepdog recommends officers use a vest-mounted holster that secures the firearm properly, and can be quickly drawn by unzipping the shirt or ripping buttons away if the uniform is non-zippered. We would also recommend officers have their uniform shirts zippered behind the faux buttons. After Corporal Kelly’s back-up firearm is disposed of, the Troopers begin giving the suspect orders to submit to arrest. Unfortunately, in the stress of the fight the officers are ordering the driver to “get on your back.” The suspect is already lying on his back (what the Troopers see), when they likely are trying to order him on his stomach for easier handcuffing behind his back. After nearly one minute of fighting with the suspect, the Troopers are still struggling to get him onto his stomach for handcuffing. The suspect begins to attack the Troopers and try to get them off of him, while Corporal Kelly begins to deliver strikes in an attempt to subdue him. Corporal Kelly appears to be a large man, and Trooper Seiple is not small either. However, in the midst of receiving serious blows to his head and body, the suspect is able to stand up even with Corporal Kelly wrapped around his back. 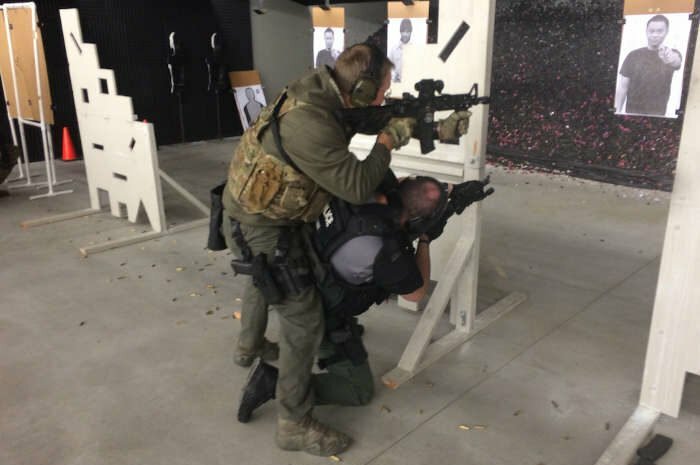 This type of “superhuman” strength is often a result of the “fight-or-flight” sympathetic nervous system response, and is something officers must learn to recognize and counter productively. In this incident the suspect not only takes the blows (possibly less effect due to drug influence), but he taunts and curses the officers while fighting to free himself. Despite the two Troopers deliberate and coordinated attempts at control, the suspect will always have a part in the conclusion of a physical confrontation. The suspect will either submit to the force, break free and flee, or break free for a better fighting position. Officers are cautioned to never give up during an altercation, until they are satisfied the suspect is subdued, or find the situation untenable and make a tactical withdrawal to a better position and possibly better tools. Here, the suspect was able to break free, run around his vehicle, and retrieve a firearm. Once the suspect is able to break free of Corporal Kelly’s grasp, he doesn’t attempt to flee. The suspect does not seem to be fazed by going up against two Troopers in a serious physical altercation. Instead, in one of the most frightening encounters an officer can face, the suspect does not flee but runs for a firearm once breaking free of their grasp. The Troopers realize their adversary is more dangerous than originally presumed, and rightfully withdraw their sidearms. The use of deadly force must be objectively reasonable under the facts and circumstances faced by the officer at the time of deadly force (Graham v. Connor, 1989). The U.S. Supreme Court ruling clearly articulates officers are not required to wait until facing the barrel of a firearm before using deadly force. Instead the use of deadly force is weighed by the threat posed by the suspect. 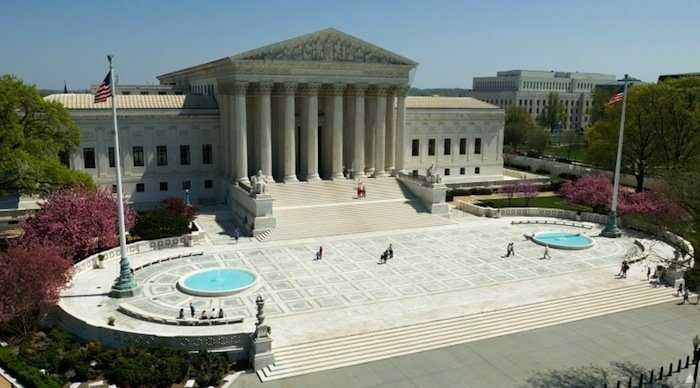 The U.S. Supreme Court has provided guidance on police use of force (photo by Architect of Capitol). Initially the crime involved was suspicion of DUI-drugs. However, that crime increased when the driver resisted arrest, assaulted the Troopers, and at least once attempted to disarm a Trooper by grabbing his holstered sidearm. This now raises the level of crime to assault on a law enforcement officer with a possible attempted murder (by attempting to take the Trooper’s sidearm). This likely has elevated this situation to felony crimes of violence. Second, the suspect posed an immediate threat to the Troopers through his resistance to arrest and his active assaults upon them. This whole ordeal was taking place on the narrow shoulder of a busy 4-lane highway further making the situation dangerous to the Troopers and the motorists driving by. It is not hard to expand this danger to anyone in the public who could come into contact with the suspect should he be able to flee. Finally, as mentioned already, the suspect was actively and violently resisting arrest. This initially was through physical resistance to handcuffing, but then escalated to physical attacks on the Troopers and an attempt(s) to disarm the Troopers. All three of the variables the Supreme Court laid out for review are manifested in the suspect’s actions. The level of acceptable force used on a citizen is dependent upon several key factors. Other factors the Courts use to determine reasonable force is the size of the officer in comparison to the suspect. How many officers versus how many suspects? Are the suspects armed, or have specialized fighting skills? How close are back-up officers? What is the terrain of the fight and does it present additional dangers? Here the suspect is about the same size as Corporal Kelly. The suspect has physically resisted arrest, attempted to disarm Corporal Kelly, and had the strength to stand up despite the Troopers laying on his back and fighting back. There were two Troopers versus one suspect, but that did not faze the suspect and he fought desperately with them. It is unclear how far additional Troopers or other law enforcement is to the scene. The fight took place on a narrow shoulder to a busy highway making the situation even more dangerous. Finally, this situation met the Supreme Court’s acknowledgment that officers are often required to make split-second decisions under tense, uncertain, and rapidly evolving events. Puting accurate rounds on target in a very short amount of time is critical to winning a gunfight. Anytime an officer is required to make a custodial arrest there is a potential for violence. Simply put, there are those who live among us who have no regard for the community’s standards and expectations – or for those who the community has hired to uphold those laws. When confronted with violence officers must be ready physically and mentally to counter the resistance or violence of these criminals. In this incident the driver clearly did not obey the officers commands, violently resisted their efforts to arrest him, and instead of fleeing once he broke free, ran to his open driver’s door window to retrieve a firearm. Intent to murder these officers, the Troopers were able to quickly assess the elevating threat from the suspect and return fire. Without the physical conditioning, and mental preparation to act according to their training, this situation could have ended much more tragically. Officers must understand that a situation can go from very mundane to a fight for life in a fraction of a second. Be prepared to act accordingly! With the recent scrutiny on police use of force, it is no wonder officers are hesitant to use force at all – let alone deadly force. However, the job of a law enforcement officer always comes with the risk of violence. When that violence escalates to a deadly threat, law enforcement officers must be ready to uphold their oath to protect the community even when that means using deadly force. To allow murderous criminals to conquer officers, leaves the general public vulnerable to the evil of these suspects. That cannot be! After less than a minute and a half of serious ground fighting the driver is able to flee around the front of his car to his driver’s door. Instead of getting into his car to flee, as one might expect, the suspect reaches in and retrieves a firearm. Any doubt on the suspect’s intent is quickly removed when he exits the car and begins firing on the Troopers. Creating multiple angles on a suspect is the best tactic for success. In a critical moment of the encounter Corporal Kelly moves to the left, rear of the suspect’s car. Trooper Seiple is on the right side of the suspect’s car, presenting an ideal “L” angle on the suspect. However, Corporal Kelly trips and falls, and this action perhaps initiates Trooper Seiple moving to Corporal Kelly’s location. Had the Trooper remained in his position, or even moved slightly forward (towards the suspect vehicle’s windows), he likely would have had an ideal sight picture of the suspect retrieving a firearm. This would have also provided him a very good angle to engage the suspect with gunfire, without endangering Corporal Kelly. There would have been some danger perhaps to passing motorists, but well aimed and close-range shots from a handgun would have likely stayed in the suspect’s body or left with significantly reduced energy. Leaving this angled position resulted in both Troopers being entangled with each other on the same side of the vehicle, losing their balance, and gave the suspect an advantaged at the critical early moments of the shoot out. At this point Trooper Seiple has withdrawn his sidearm and is aiming at the suspect. Corporal Kelly has attempted to side-step from the right, rear of the suspect’s car to the left, rear for a better vantage point. Unfortunately, Corporal Kelly gets tripped up on his own feet and falls to his knees, dangerously close to the suspect leaning into his car. This loss of balance is likely due to the adrenaline dump, and Corporal Kelly’s body losing fine motor skills in favor of gross motor skills. 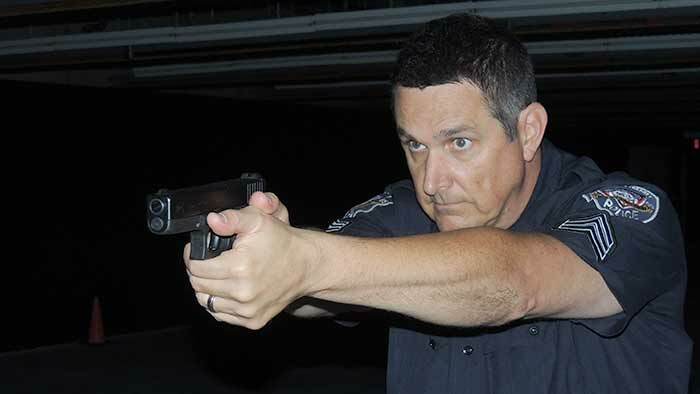 High-low shooting is an excellent tactic for close quarters situations (or when an officer has fallen). Possibly due to the Corporal’s fall, Trooper Seiple moves to the Corporal’s location still pointing his sidearm at the suspect. The Corporal is able to recover from his fall quickly, but standing back up he bumps into the now present Trooper Seiple, and in an attempt to flee the Corporal pushes the Trooper back and runs in front of the Trooper blocking his view of the suspect. At the same time the suspect emerges and opens fire. Trooper Seiple is miraculously able to return fire almost immediately, missing the moving Corporal, but is off balance from Corporal Kelly’s push through and falls backwards. Corporal Kelly drops to his knees on the right of the suspect’s car, draws his sidearm and engages the suspect in gunfire as well. Despite being hit the suspect turns his fire on the Corporal, even leaning over the car to aim at the kneeling Kelly, and at least one shot hits the Corporal in the femoral artery. Gravely wounded the Corporal jumps over the guardrail for cover. Trooper Seiple has fallen beside his cruiser, and the audio clearly hears him reloading his service pistol. As the suspect now jumps into his car to flee, Trooper Seiple riddles the driver’s side with well aimed bullets, shattering the rear window and striking the suspect in the head at least once. Amazingly, the suspect is able to drive away and later arrives at a hospital for his wounds where he is arrested. Trooper Seiple was shot and received serious injuries. Corporal Kelly’s leg wound resulted in his femoral artery being severed. This wound can lead to a person bleeding out in only a few minutes. Corporal Kelly applied a department-issued tourniquet that likely saved his life. BlueSheepdog are strong advocates of law enforcement personnel having trauma care readily available, including tourniquets. Despite this action, Corporal Kelly coded in the ambulance to the hospital, and was without a heart beat for as long as 5 minutes! He would survive, but remembers nothing of the fight. The suspect was believed to be under the influence of marijuana. Modern marijuana is often grown in complex grow-operations, in both the United States and Mexico. This marijuana has dramatically higher Delta-9-THC (the psycho-active ingredient) than the marijuana of the 1960’s through 1990’s. Despite claims by many pro-marijuana groups that marijuana is not addictive, and does not really impair the ability of a person to operate a motor vehicle or other complex activities, there is ample evidence to the contrary. We have previously reported on DUI-drugs. Though not completely similar to suspects under the influence of alcoholic beverages, marijuana impairment can have several similar indications of impairment. The best course of action is to have a Drug Recognition Expert (DRE) examine the suspect to properly identify what drug category, or combination of drug categories, the suspect may be impaired from. However, officers without the specialized DRE training can still make observations of impairment that can satisfy probable cause to arrest. Interestingly officers will often see one eye converge while the other does not. Poor ability to account for time (Romberg Balance test). Elevated blood pressure (DRE or hospital staff would be required here). There is plenty of room to debate the level of criminality for marijuana possession and use, but we must recognize marijuana can alter a person’s mental processes and risky behavior. 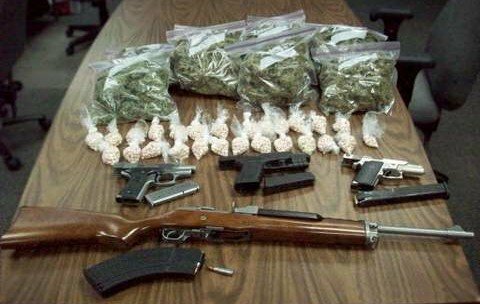 In this case, there is a strong argument that the suspect’s marijuana consumption was a factor in his decision to resist arrest and ultimately attempt to murder two PSP Troopers! When Colorado passed legal marijuana laws, one of the arguments made in favor was it would free up law enforcement to investigate other crimes. According to the Denver Prosecutor that doesn’t appear to have been the case, as DUI-marijuana cases and property crimes have soared. BlueSheepdog views the attempted murder of a law enforcement officer as one of the highest forms of contempt for civilized society. 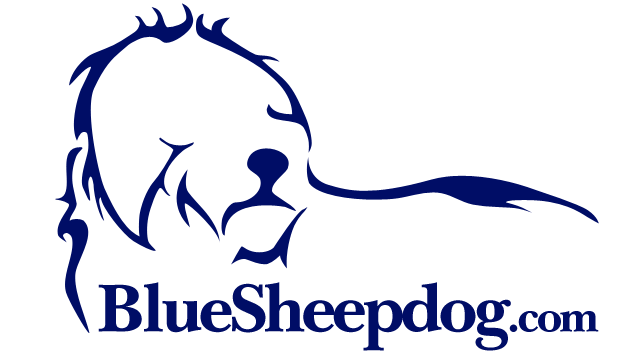 We do not provide articles and videos of officer-involved shootings lightly. In fact, we have screened hundreds of these videos and only choose a few to present to our readers for educational purposes. The purpose of presenting this video is not to disparage the Troopers in any way. In fact, we applaud their heroism in the face of extremely dangerous circumstances. As current and former law enforcement officers the BlueSheepdog Crew understand the realities of life rarely unfold in clean-cut patterns often presented in static training scenarios. Quality training, physical and mental fitness, key awareness of danger signs, and an unrelenting will to survive are all vital components to winning a deadly force encounter. However, we also fully recognize the suspect has a say as well. 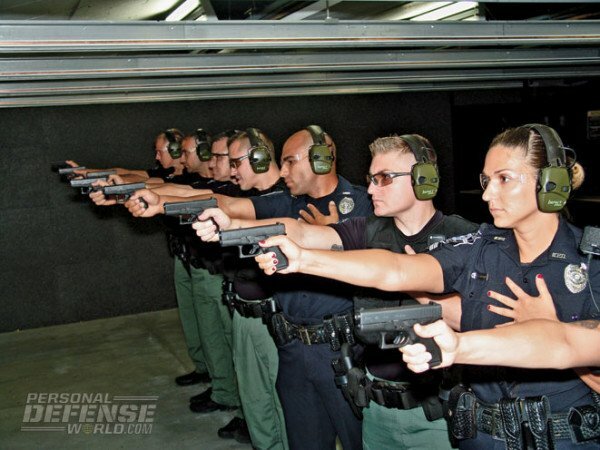 Static range training does not prepare for deadly force. (Photo by Personal Defense World). This officer-safety review is intended to remind our readers about the dark realities of deadly force encounters officers may face, and examine the lessons that can be learned so officers can perform even better in future similar situations. This review is not intended to highlight errors, but merely to educate our law enforcement readers on lessons that can save their lives. The BlueSheepdog Crew firmly believes that we can learn from our successes and failures. Law enforcement must be willing to take hard looks at critical incidents and debrief the positive and negative actions so future events will be completed better. We also firmly believe that viewing videos such as this provide officers a “mental memory” that can be used in the tense, uncertain, and rapidly evolving events they may encounter in the future. Without these memories, the mind of the officer simply attempts to make decisions in a “fight or flight” sympathetic nervous system response – which often does not go well for the officer. BSD highly recommends officers conduct mental exercises while on and off-duty to create these “mental memories.” It is one of the easiest yet most highly effective training methods to prepare officers to succeed in high-stress incidents. All that is required if for an officer to imagine an incident unfolding in front of them, and then evaluate and decide what they would do to confront such a situation. This “memory” then can be drawn from by the officer’s mind during a similar real-life situation in the future. It is the classic “if this, then that” type of situation, and it allows officers to examine a full range of options for responding to critical incidents without the immediacy of a threat. Options can be examined with both positive and negative factors evaluated to determine “best” decisions. Once the officer develops this “best” course of action, they can play out the scenario in their head which ultimately creates a “mental memory” that can be drawn upon later. This can be done for everything from a deadly force encounter, to what to do if a motorist up ahead suddenly makes a dangerous action. These two Pennsylvania State Police Troopers were confronted with a determined and relentless adversary, ultimately intent on murdering them. Thankfully these types of confrontations are rare, but not so rare that officers can put aside training and preparing for them. I firmly believe mental preparation for critical moments just like this is as important, if not more important, than the physical and firearms preparation. We highly recommend the mental memory exercises we mentioned above. That training is free, can be done anywhere, and yet will provide some of the best results of any training you will receive. Despite some minor critiques, these Troopers exercised their duty professionally, bravely, and with a determination to not only survive but to win. This mindset is critical. Though both Troopers were struck with gunfire, they did not give up, but instead returned accurate fire on the suspect, ultimately critically wounding him. The suspect has recently been convicted of two counts of attempted murder of law enforcement officers, and awaits sentencing. His defense attorney grotesquely used a “self-defense” argument for this scumbag’s murderous actions. The jury was not buying it! However, with the vitriol media attack on police going on around the country, and the rise of biased organizations against law enforcement, we can expect to see more and more “self-defense” arguments played out in court. When the facts are clearly against the offender’s actions, the only thing left to do is throw a Hail Mary with a preposterous claim and hope some jury buys the lie. Stay sharp, be safe, and be prepared to win the deadly force encounter you may be forced to face.